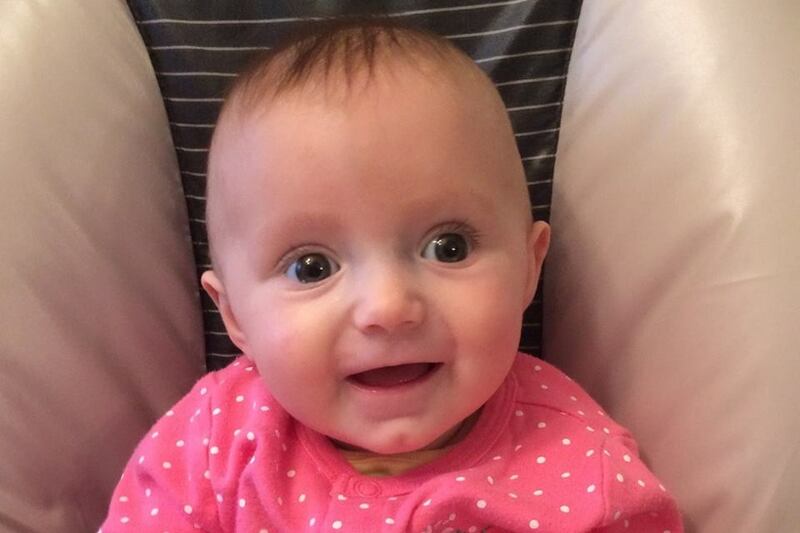 Police Chief Edward Walsh is pleased to report that Cops for Kids with Cancer presented a local 6-month-old girl and her family with a donation at the Taunton Police Station on Monday evening. Holly Rodrigues, along with parents Diana and Bob and big sister Hannah, were presented with a donation from Cops for Kids With Cancer on Monday to help cover the costs associated with her cancer treatment. 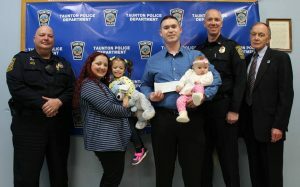 The Taunton Police Department sponsored the Rodrigues family’s application to Cops for Kids with Cancer earlier this year. Chief Walsh and the members of the Taunton Police Department would like to extend our gratitude to William Coulter, Detective Lieutenant Massachusetts State Police, and Chairman of the Cops for Kids with Cancer organization for their generosity and dedication to assisting the communities we serve.